Bluespacecoaching is an independent firm of highly experienced, accredited coachees with extensive senior-level business experience, all committed to their own personal and professional development. We’re business-savvy and great listeners. You will find us very easy to connect with, yet knowing when to challenge you to ensure you meet the personal and organisation development goals you have set yourself. Our mission is to help clients achieve personal and organisation success. Pascale Cozzolino offers over 25 years’ experience working at main board and executive board level in a broad variety of industry sectors internationally. Her client portfolio is wide and she loves using the experience she has gained with global organisations to help entrepreneurial businesses grow. A very successful Executive Coach with a Master Coach accreditation, she has coached hundreds of individuals and many teams over the last fifteen years, and over 20 different nationalities. Improving performance is at the centre of her work, be it individual, team or organisational. Her passion is coaching leaders and teams to help them be the best they can be. She is very familiar with the challenges that leaders and their teams face in a world where everything moves very quickly and where the stakes and pressures are on an all-time high. Her aim is to support today’s leaders and bolster their courage to become the leaders needed for tomorrow’s challenges. She prides herself in helping them stretch themselves in the way they lead, develop strategy and innovate. Pascale’s style is based on empathy, rigour, humour and creativity. Her clients say she is very pragmatic and results-oriented. 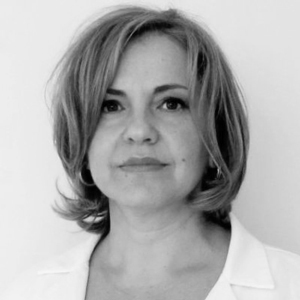 Apart from her Master Coach accreditation from the Association for Coaching, she is accredited with the European Commission and the European Parliament, trained in Clean Language™ and in systems constellations. She coaches in English and in French. Lynne Cooper is an experienced and accredited Coach. She is the Vice Chair, and former Head of Standards and Accreditation, for the Association for Coaching in the UK. She offers some 15 years of experience in coaching leaders to improve personal effectiveness, lead through complexity and change and positively impact organisational performance. Lynne is a Business graduate, an NLP Master Practitioner and one of just a handful of pioneers of the application of Clean Language and Symbolic Modelling in organisations, using this leading edge change technology to enhance understanding, transform thinking, change behaviours, and sustain the resulting improved performance. Lynne combines her strong interpersonal skills with a sensitive yet pragmatic approach and passion for working with people to support leaders to create sustainable change. 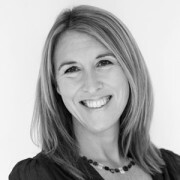 She coaches leaders and senior teams and is also an Accredited Coaching Supervisor. She trains coaches and managers in coaching skills. Lynne is the co-creator of the Five-Minute Coach, an approach for busy managers who need to coach in the moment to get results – and fast. She is the co-author of The Five-Minute Coach: Improve performance – rapidly, Crown House Publishing, 2012, and the author of Business NLP for Dummies, Wiley, 2008. 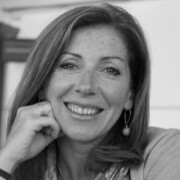 Cath Harries is a development consultant, facilitator and business coach with over 20 years’ experience working collaboratively with her clients. In her career, Cath has worked with blue chip companies, high profile charities and multi-national banks. 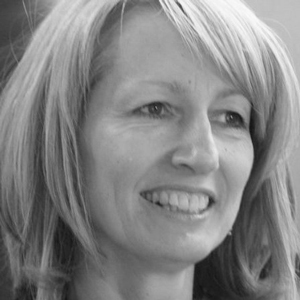 Cath specialises in coaching and mentoring, leadership development, building self awareness and positive impact, influencing and gaining trust – essentially, helping her clients develop core interpersonal skills and confidence. She works with groups and with individuals, in workshops and in one to one coaching relationships. She also specialises in action learning set facilitation, involving peer coaching and working on real issues in real time. Cath also has a depth of commercial understanding, having trained with PwC and qualified as a Chartered Accountant (ICAEW ACA 1993). She is also trained as a Neuro-Linguistic Programming practitioner, has a High Performance Coaching accreditation and is an MBTI practitioner for Step I and II. Her clients find her warm, engaging approach allows for robust and challenging conversations and feedback, with real and tangible improvements with those who work with her. Albéric Augeard has over 20 years’ experience in leadership development as internal and external consultant, coach, instructional designer and facilitator. He has a real commitment to the leader’s and the team’s learning and success. He has worked extensively in Europe, as well as in North America, Asia and the Middle East. In his work with teams, Albéric understands the business and its key factors, and uses it as learning context and content. He fosters a climate of trust, safety, and transparency, helping them to model excellence. Albéric specialises in coaching people through transitions, helping them to unlock their potential and find their own individual, effective leadership style. He uses tools and models drawn from psychology, business and education, and combines these with innovative approaches such as Clean Language and Symbolic Modelling. 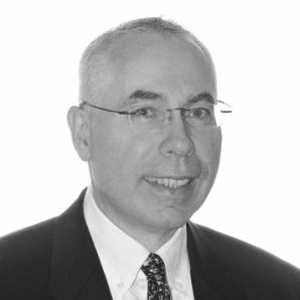 Albéric started his corporate career as management consultant at Coopers & Lybrand. He then worked for nine years at Pfizer, and was responsible for design and facilitation of internal initiatives on quality, strategy development and change programmes. Albéric has a Masters degree in Audit and Consulting and a Masters degree in Organisational Design and Effectiveness. He is certified in numerous psychometric instruments such as MBTI, Firo-B, Benchmarks, Executive Dimensions, Hogan, Change Style Indicator, and the Conflict Dynamics Profile. Angela Jopling is an experienced Leadership Team Coach and Organisation Development consultant. She has worked in various consulting and line management roles for over 20 years, across a broad range of industries, including financial services, oil and gas, retail, travel and leisure. She is passionate about leadership team transformation and enjoys working with leaders who want to push and stretch themselves to fulfill their highest goals. Angela is accredited as a coach by both APECS (since 2007) and the Association for Coaching (since 2009). Angela also holds an ICF accredited diploma in Coaching Supervision and has a growing coaching supervision practice. 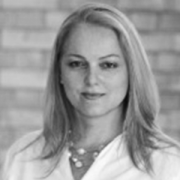 She is trained in the use of team coaching diagnostics and working with organisational and team constellations. Gina Hayden is a leadership development specialist with a strong interest in responsible and sustainable business that is purpose-driven as well as profit-driven. She has worked for more than 20 years with leaders worldwide to develop their effectiveness not only in what they are doing, but also in who they are being. She delivers development programmes and coaches at the levels of individual, teams and organisations. Her main interest lies in the development of more conscious leaders who enable their organisations to be a force for good in the world. Gina’s certifications include MSc in Counselling Psychology at City University, London, Diploma in Counselling and Psychotherapy, Regents College, London, Professional Certified Coach (ICF: International Coach Federation), Certified Coach Marshall Goldsmith Stakeholder Centred Coaching Methodology, guaranteed leadership results, Qualified Conscious Leadership Coach (CCSA), Diploma in Neurobehavioural Modelling (Association of Coaching, UK) and she is experienced in several psychometric tools. 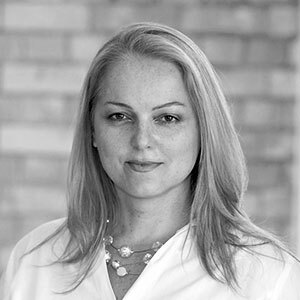 Gina has worked in the United Kingdom, South Africa, the Middle East, Nigeria, Ghana, Kenya and Tanzania, Eastern Europe, Russia and Turkey.